porcelain, and emphasizes the refined elegance that characterizes this material. There are endless possibilities to what man can represent with tiles, visit a tile showroom to find what are your flooring solutions. If you are looking for a durable and resistant material, that also requires the less maintenance possible, porcelain is your choice! As it is a man-made material, it’s not porous as the natural stone – therefore it won’t absorb the effect of time and age along the years. Surely, this type of product will offer less beauty and variety thank stones. In fact it will always have a certain repetition, making the pattern more consistent yet less interesting and original in its beauty. Because of the strength of the material, and the non-porosity characteristic, porcelain can be used for almost any applications. It is enough resistant to be used as a floor tile, as a wall tile, inside showers and steam showers, on heavy traffic areas, on countertop or backsplash. The type of tile, the bisque it is made of, and the manufacturing quality could make it suitable even for exterior applications, or constantly under water. Make sure you ask a tile expert which applications are suggested for a specific tile product before installing. 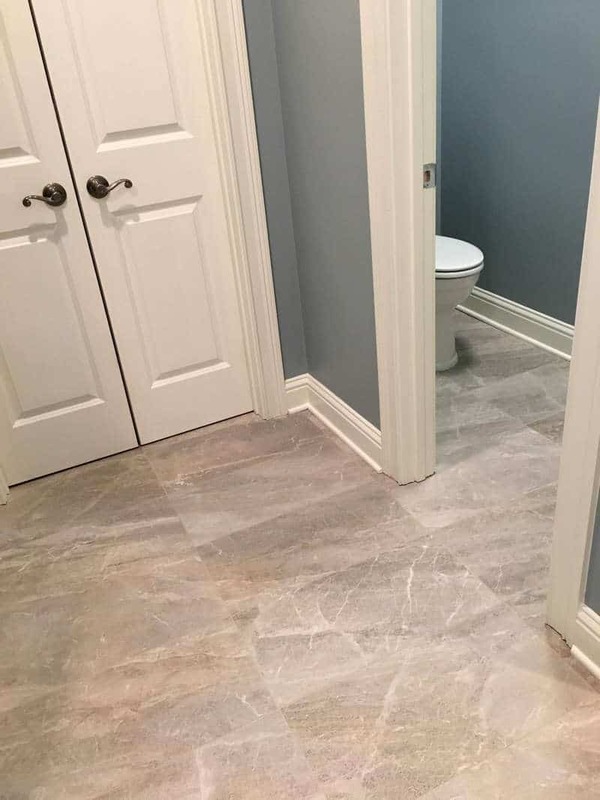 Porcelain tile has come a long way in the years, technology has made it look everyday more like other building materials that we have used for a long time in our home. A good example is the wood look floor tile, that has all the warmth and the colored texture of the real hardwood, but it does not get affected from scratches or moisture. 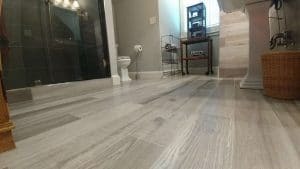 You can use a wood look porcelain tile on your basement floor, and run it throughout the entire area. Kitchen, foyer, and even bathroom and shower: select one floor tile option and use all the possibilities the design offers.